Sabiem (Società Anonimo Bolognese Industrie Elettromeccaniche) was a major elevator manufacturer that was based in Bologna, Italy and existed from the early 1920s until the mid 1980s. The company also produced dumbwaiters, as well as escalators under partnership with German-based Eggers Kehrhahn. Sabiem had its headquarters in Bologna, in the same area of Borgo Panigale where the Ducati (a famous motorbike brand) factory is located. The history of Sabiem can be traced back to November 1918 when the company was established as Officine Elettromeccaniche Bolognesi (OEB), a company specialized in mechanical and manufacturing equipment. In 1921, the company changed name to Società Anonimo Bolognese Industrie Elettromeccaniche (SABIEM) but it did not began manufacturing elevators until 1929. During that time, Sabiem made 23 different types of machines for various applications like pasta-making machines, cigarette packaging machines, servomotors and more. In 1929, Sabiem started focusing on making elevators and moved to its new factory in Vira Emilia, in the district of Santa Viola. They made agreements with several major elevator manufacturers such as Otis, Westinghouse, Stigler, and Siemens. This resulted the company becoming a major elevator manufacturer in Italy. In the 1930s, Sabiem opened branches in several South American countries. After World War II, the company continued making elevators with innovative technologies and partnerships to grew itself as a major elevator manufacturer for foreign markets. They expanded their businesses by opening branches in Mexico, Venezuela, South Africa, and also Hong Kong. Sabiem remained an independent company until 1985 when Kone took over it as a mean of entering the Italian market. 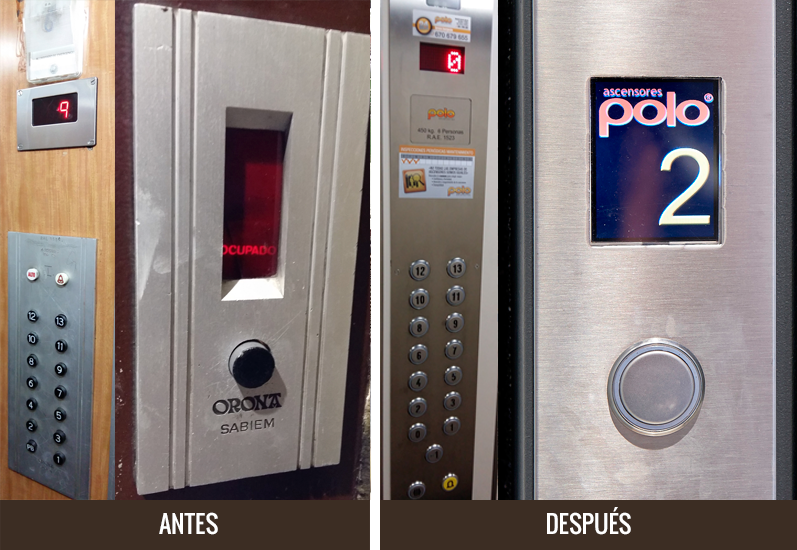 Sabiem exported their elevators to various countries through branches and also agents/third-party distributors. They were distributed in Mexico, Venezuela (where it was an important market), Cuba, South Africa, Israel, Lebanon, Hong Kong, Thailand, Malaysia, Singapore, South Korea and even Taiwan. In Hong Kong, Sabiem elevators were distributed by Shan On Engineering Co. Ltd. from the 1960s until around 1980s. They are mostly found in old private apartment, commercial and even industrial buildings. Some elevators are also found in old public housing blocks estates in the 1970s to 1980s. After Kone bought Sabiem, Shan On installed some Kone elevators for public housing estates under Sabiem's name and Kone being a stakeholder of this company. Nowadays, Shan On Engineering still maintains some of the existing Sabiem elevators throughout Hong Kong, including modernizing some of the old ones, until December 8, 2017, which has been taken over by Kone in Hong Kong, China. Sabiem elevators were also distributed and installed by a smaller, less known agent called Gilman & Co. Ltd., which have been taken over by Shan On Engineering. Sabiem elevators were introduced to Malaysia and Singapore in 1960. They were distributed by Paterson, Simons & Co. Ltd., who also supplied Marryat & Scott elevators in the region. Sabiem elevators in Singapore were also supplied by Haven Automation, which was acquired by Kone in the mid 1980s. In South Korea, Sabiem elevators were distributed and installed by Neungsoo Commercial Co. Most Sabiem elevators installed in the 1950s-1970s had their interior cab and doors made of extruded anodised anti-corodal aluminium. Some other elevators (especially later models in the 1970s), however, were finished with painted steels or wood-based surfaces. Sabiem stopped using aluminium materials for their elevator interior in the early 1980s. Orona, a Spanish elevator manufacturer, started making elevators in the 1960s under license from Sabiem. The elevators had design and fixtures from Sabiem and were branded as "Orona Sabiem". This lasted until 1975 when the license expired, and Orona started manufacturing elevators under their own name. 1960s-1970s Sabiem nameplate in Hong Kong, China. Shan On Engineering Co. Ltd.
1970s Sabiem nameplate which include Chinese Brand. Black 1960s-1970s Sabiem nameplate in Hong Kong, China. Interior of a Sabiem elevator in Mexico. Sabiem elevator advertisement in Indonesia, from the 1990 edition of Yellow Pages Indonesia. 1960s Sabiem elevator in Hong Kong, China. 1999 Sabiem (Kone) elevator in Hong Kong, China.